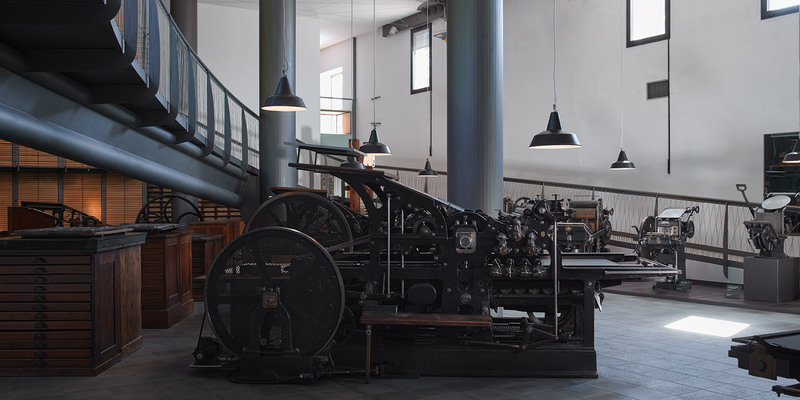 Almost 3.000 square meters are devoted to the museum to preserve and display the heritage of Italian typefaces and letterpress printing. 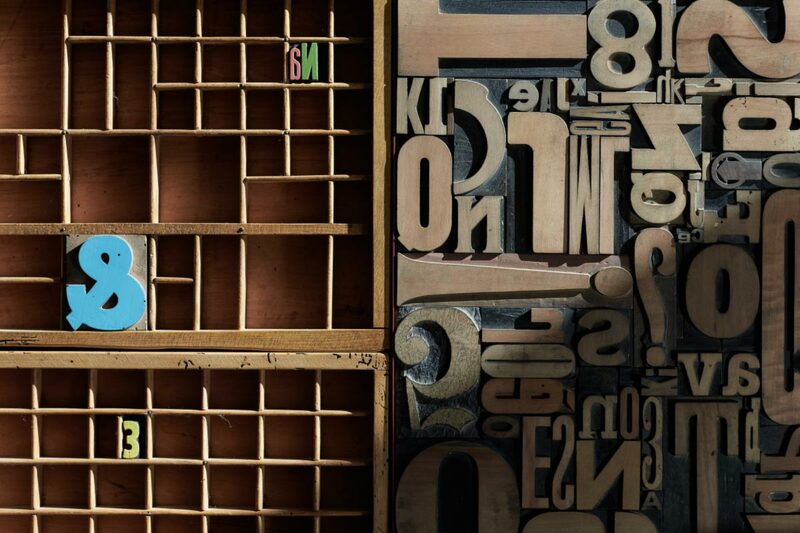 The exhibition rooms lead you through the birth and the evolution of movable type and printing, which has changed the way of communication for 500 years. Two buildings host the collections and visitors: the former church and guesthouse of the “Canapificio”. 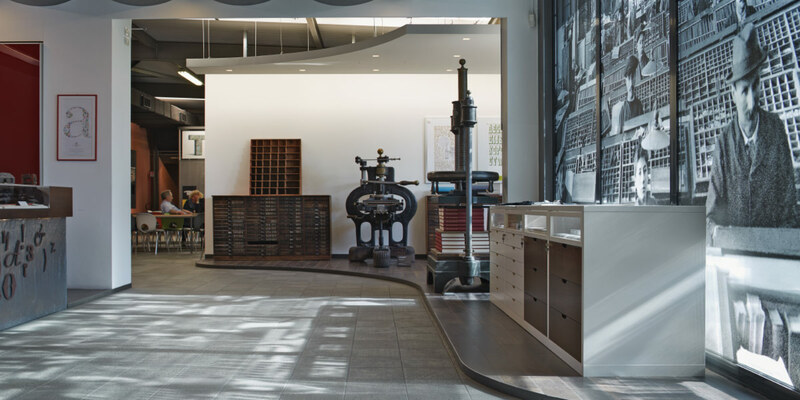 The machines and the equipment on permanent exposition explain all the steps of making type and printing during the five centuries’ history of letterpress, from Gutenberg to the ’70s. 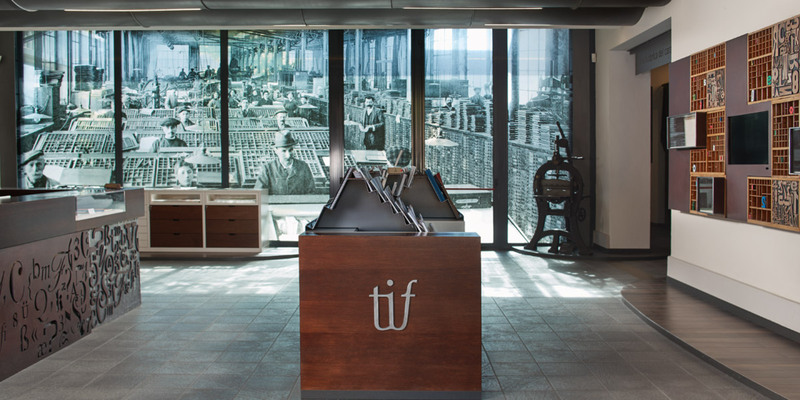 The visit starts from the first room, ‘The Type Factory’, then continues to the first floor’s room dedicated to ‘Type Projects’ and ‘Alphabets of Wood’. 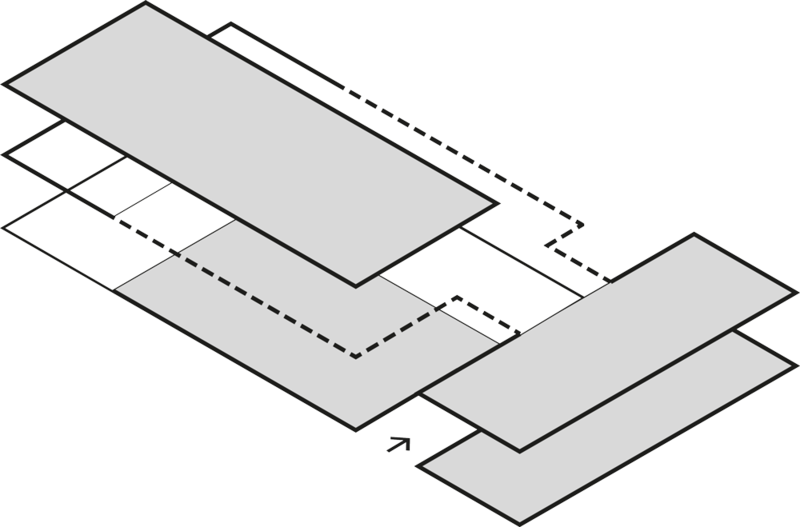 The buildings are connected by a catwalk, which brings visitors to the main room, which houses type and printing machine collections. 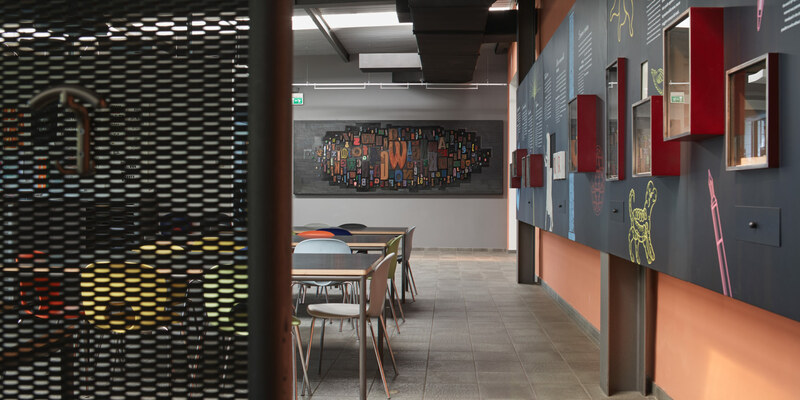 This stunning room houses the most relevant part of the collections: a wall-archive with metal and wood types. Finally visitors reach the upper level, where they enter the ‘Gallery’. 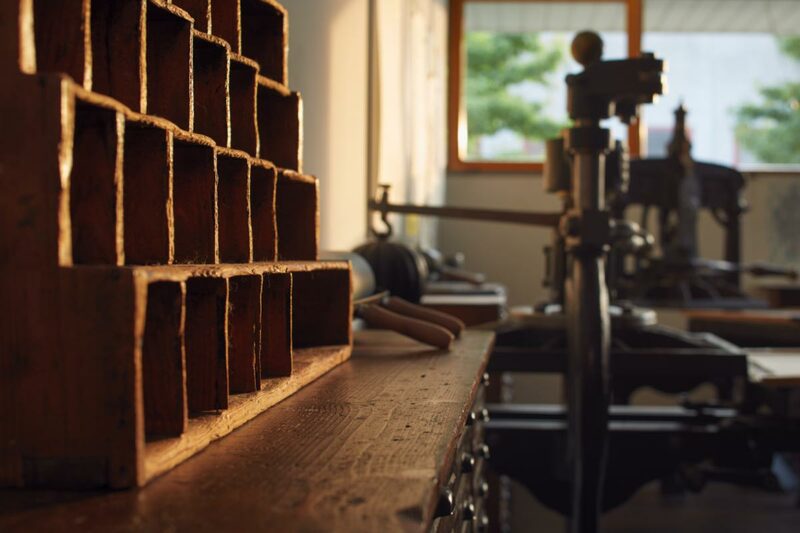 From Gutenberg to the experimentations of the 20th century: a five centuries long cultural revolution that stages the art and craft of the printers and the materials, tools and techniques of the printing history. The museum offers useful support for visits and educational programs, such as videos. Italian and English guided tours are available only by appointment.